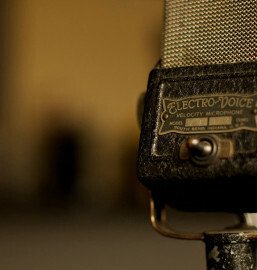 We're here to offer a broadcast voice to groups and people who might not otherwise be heard. We're always looking for new people to get involved. Be our guest: come on a show and get the message out about something you're doing. Become a partner by linking your business or organisation to a show - even better than advertising! If you'd like to get involved in another way, it'd be great to hear from you too. Please get in touch. Guests are a vital and popular part of Access Radio Taranaki programmes, adding a whole new range of voices to those of our show makers. If you've got an idea to share, or an event or group you'd like more people to know about, we'll do whatever we can to find a guest slot that suits you. Don't worry if you've never spoken on air before; our show makers are great at helping guests feel at ease, so you can share your story in your words, your way. Please get in touch or call us on (06) 751 3720 and tell us what you'd like to talk about, and when you're free to come on and talk about it. We offer a broadcast voice to those people and groups in Taranaki who might not otherwise be heard. If you want to talk regularly on air about something that matters to you, we'd love to hear from you. We give you the facilities and training need to make your own quality programme, in your words, your way. It could be themed around an interest or hobby, a style of music, a group you're part of, your language or culture or almost anything. You needn't necessarily commit to a specific number of shows, but if it's just a one-off, being our guest is simplest. If your own show is the thing for you, we'll give you all the information, support and training to make it happen. 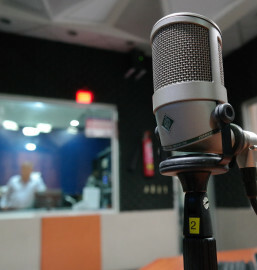 To help keep Access Radio running we charge show makers a small fee, starting from $15 + GST for a 15-minute broadcast. If you'd have difficulty paying this, talk to us - we may be able to help you find a sponsor or apply for a grant. Interested? Contact us and start your journey. 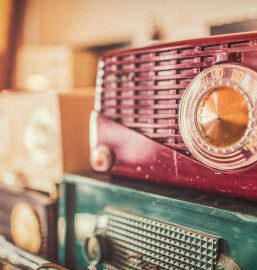 If your business or organisation wants to connect with tuned-in people in Taranaki, and you're considering advertising on podcasts or radio, we can offer you one better. Access Radio Taranaki reaches a unique audience of around 15,000 regular listeners, according to the Taranaki 2016 Commercial Radio Audience Measurement Survey. They listen because our shows are made by, for and about people like them. We broadcast on 104.4FM, live-stream online and make shows available as podcasts on-demand, which means your message really gets around. As a partner for one of our shows, you'll work with a show maker and decide together how you'd like to be profiled - before, during and after each show. Partnering starts at just $15 + GST for supporting one 15-minute broadcast. Want to know more? Please contact us any time.